Master the Wards, a program originating from the book of the same name, authored by Dr. Conrad Fischer, offers Clinical Observership Program for medical students and graduates in New York, NY. Programs include hand-selected proctors, support from medical residency leaders, and academic conferences. You have invested extraordinary sums of money for med school. Now, as you enter the realm of your clinical rotations there is a sense of excitement, desire, and fear. Each year med students flock to hospitals to achieve their long awaited clinical rotations. I have seen many such students over time and have found, and agree with much of what is written, there are many mistakes that are made. The issue is not that a mistake is made; it’s that year after year the same mistakes are being made. Perhaps a class should be offered or as part of orientation that these items are reviewed. The most important thing is to be clinically prepared! Everything else is rudimentary. That said let’s review some preparatory points. You only have one chance at first impressions, so get it right. The way to do this is to be prepared. Preparation, like the first two years of med school requires hard work and dedication. Your biggest ally is your ability to read. Arguing - Probably can be broken down into arguing with your fellow student, residents, attending, or the patient. Let’s be clear – none of these is acceptable and is grossly unprofessional. Aside from learning how to care for your patient clinically, there is an un-taught requirement that physicians help patients through empowerment and shared decision making. If you argue with them you violate this principal. If you have a difference of opinion, there are ways to express it without being hostile or arguing. And if you are permitted to write in a patients chart, this is definitely not the place to air your dirty laundry. It is passive aggressive and unprofessional. Reporting falsely – As in the 10 commandments, ‘Thou shalt not lie.’ Whether reporting this on rounds or documenting it in a chart (when no one is watching). This is a cardinal sin. Physicians are held to a higher moral standard and if you can’t handle that then it’s not the right profession for you. Forgetting the chain of command – Hospitals are high octane high stress environments. You need to know your department structure. Generally, Chairman and directors are at the helm; followed by attendings, fellows, chief residents, residents and finally you. The pecking order is real and follows the laws of gravity: It goes one way. Best piece of advice hear is don’t take anything personal (except constructive feedback). Don’t skip a level. No one likes that anyone went over their heads. It’s a show of disrespect and will land you in the hot seat. Remember if you look good then those above you look good and everyone wins! Disrespecting nurses - If you want to make your life miserable, make the nurses hate you. They are the gatekeepers to your happiness and the grease to your wheel. Dressing inappropriately – Would you show up to a job interview wearing jeans and a crumpled shirt? Don’t think your short white coat will hide anything. Dress not necessarily to impress but for the job you want. Patients, their families, and hospital personnel remember (and talk behind your back) on your choice of clothing. Always look clean and presentable in business attire. That means ties for men and nothing provocative for women. Grooming should be maintained and funky hair styles and colors have no place in a hospital environment. Keeping important findings to yourself – Your resident and certainly your attending will be rabid if they learned of a finding in the chart first. It is your responsibility to inform verbally and then document accordingly. This has led to more negative evaluations than I care to remember. I’ll also add in hiding possible errors. If you make a mistake tell someone. Your patient’s life may be at stake. Tardiness – Thinking that it’s only a few minutes and it’s not significant, is flawed. Your team will notice when you're late. It's unprofessional and disrespectful and tells the team that your time is more important than theirs. Traffic, weather, children, pets are excuses. Everyone has a life and everyone else makes it on time. On that note, don’t leave early it gets noticed just the same and is even more irritating to the team. Uncredentialed procedure – Some hospitals don’t allow med students to “touch” patients. That said, it’s difficult to learn how to percuss an abdomen if you’ve never experienced it on a live patient. Blood drawing and other routine items are in the same category. Know your boundaries and do not do a procedure that is above your pay grade (i.e. central line placement). Watch and learn, you will get your chance. Any emergency that may arise should be handled by your seniors. Striving for average – Don’t be a minimalist or the overachiever. You’re in med school, your pretty bright so strive for excellence: ALWAYS! Don’t be invisible. There is a wealth of information available to you; you just need to figure out how to absorb it. Juggling all your responsibilities can be overwhelming. You are not “less than” to seek help. It is OK. Everyone feels overwhelmed at times. It is a feeling and it is normal. Time management is the key. Daily and weekly planners are essential. You do not need to be a slacker to fall behind so stay fresh and take a few minutes a day to exercise. Remember how you perform will be the basis for your evaluations. If you are invisible then evaluation will reflect that. Being a ‘know it all’ – You’re still in school. Some things only experience can teach. I always felt that raising your hand and blurting out answers and correcting others publicly was a show of intelligence. Well, it is a show, but of arrogance. Your brilliance will be noticed without being the overachiever. Gunning,” “Upstaging,” or “sandbagging” is not the way to make friends. Remember there is a lot of stress on the wards so try to make it as amicable as possible. You will also soon realize you have a lot to learn. Medicine is dynamic, fluid and ever changing. If you think you know everything, you will get into trouble. Forgetting to read – This has been drilled into to you since elementary and prep school. It’s super important to keep up with all the information. The easiest way to look foolish is to not know your patients. If your new patient has CHF, read up on it overnight. Know the treatment, medication, dosages. Being prepared is the only way to impress your attending. If you neglect reading it will become quickly apparent how little you know. You cannot afford this. As mentioned earlier, you have only one chance to make a first impression so get it right on your first case (excerpt from Dr. Fischer’s MTW – IM Clerkship). “Pimping” – This nomenclature means to berate someone. It is never condoned or acceptable and should be abolished. Until that time, I feel a duty to warn. Therefore, like hazing on a college campus, there is a certain element of this happening. Like any other hierarchy pimping up the totem pole is a no-no. It generally ends when you advance levels of training. Not all seniors are created equal – Just like your fellow students there are those who are truly exceptional and those who are average. Attendings are the same. Not all are teachers or know how to teach. Attendings are more and more being pressured into “doing more with less.” This added pressure affects their ability to teach. They are all your attendings and your senior so be grateful and respectful. Some of your seniors residents and attendings alike have developed less favorable habits over time. Be careful who you choose to emulate. While there is no dumb question but there are “simple” ones – Don’t ask simple questions. It wastes time. Instead make a note of it and look it up later. This is difficult to navigate and will come by experience very quickly. Besides, your attending, if not scoffing at the question, will say go “look it up.” Gain the confidence you need, because it’s not your ability to remember facts from a book and regurgitate them on an exam but how well you can decipher and apply the material into real patient care. The flip side is true also, asking appropriate questions demonstrate interest and engagement. This means you are part of the team. Pride – Some students find themselves in hot water because they cannot accept constructive feedback or challenge others and cannot accept being wrong. Two very poor traits. Humble yourself and you’ll have a better chance for success and learning. You may be brilliant for your class level but you have not earned your attending stripes yet. Listening to your senior just might help. Self-confidence is good so believe in yourself. Do not be ashamed of being wrong! You have earned your spot. So keep your eye on the prize and reach out for help where needed or just to decompress. If you have any uncertainty, drop me a note for objective non-judgmental support. As always, comments and suggestions are welcomed. If you have an idea for future topics please share and we can collaborate. Master the Wards has created an Observership program to help IMGs achieve US clinical experience with an academic focus. We are totally committed to making sure you have a meaningful medical educational experience. Copyright 2018, Master the Wards, LLC. All Rights Reserved. Website built by The More Entrepreneur. 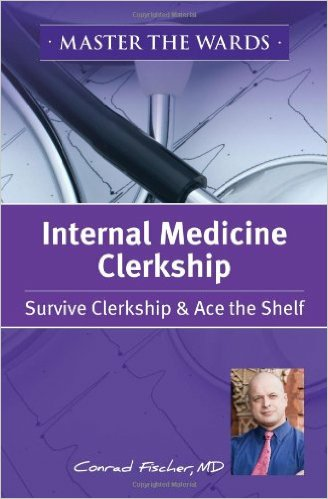 The 3-month Internal Medicine clerkship plunges senior med students onto the hospital floor, the emergency department, and the clinic. What is expected of you. Know the medicine and look credible in front of your attending.